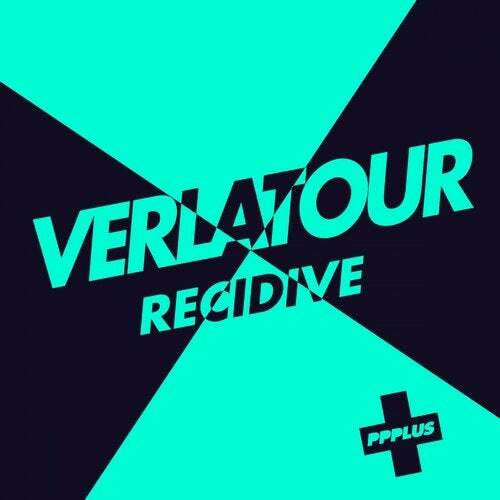 Sealing up the fusion between electronic hedonism and atmospheric electronica, here is « Recidive », an EP by French producer Verlatour and the second delivery on PPPLUS, the club oriented sub-label of the Tcheaz imprint. Hyperactive drummer-producer, part of the duet The Name (responsible of lots of TV programs soundtracks and some explosive livesets on lots of french stages during the past few years), he also founded BON TEMPS, a dual label focused on contemporary art (with Bon Temps Magazine) and electronic music (with Bon Temps Records). The track « Recidive » is a lunar galactic jetpack fueled tour, featuring wonky cowbells and looming up rhythms, when the second track « Expedition » is as pheromone loaded as dopamine inducing. Plaisirs (Bon Temps Records) offers a dark and chiseled technoid rework of « Expedition ». Dawad (La dame Noir, Clouded Vision, IRM) brings a slow, dark and infectious discoid remix of « Recidive ». Diapositive (Tcheaz) close the EP with a long trippy and vintage synth infused disco remix of « Recidive ».